BELLINGHAM, WA--(Marketwired - December 12, 2016) - eXp World Holdings, Inc. (OTCQB: EXPI), today announced that eXp Realty, the Agent-Owned Cloud Brokerage®, has been recognized by The Oklahoman newspaper as a winner of the Oklahoma 2016 Top Workplaces Award. The company was recognized as the 2nd best workplace overall in the small business category. "This is a tremendous honor for all of the agents and brokers who are on our team," said Micah Mruwat, the Company's broker and leader in Oklahoma City, where its family of agents and brokers has more than tripled since the start of 2016. "This award speaks to the collaborative, engaging and rewarding environment of our company, not just here but in and across all eXp markets." The Top Workplaces are determined based on the feedback of workplace members. The surveys were conducted by The Oklahoman Newspaper, and its partner, Workplace Dynamics. In June of this year, eXp Realty was recognized as a Top Workplace by both The Washington Post and The Atlanta Journal-Constitution. The Company was also recognized as a Top Workplace in Atlanta in 2015. "Any great workplace begins with great people," said eXp Realty CEO, Jason Gesing. 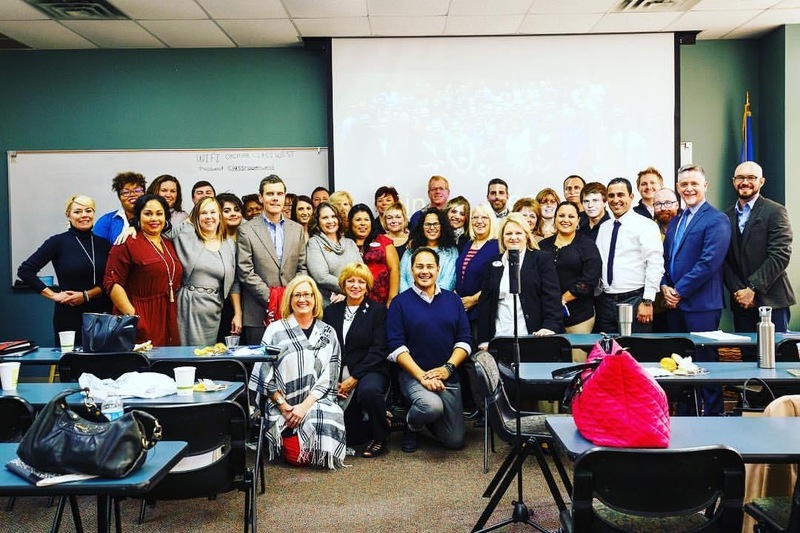 "The synergy among our agents and brokers in Oklahoma is reflective of strong leadership in the state but also demonstrates agent-ownership's impact on organizational health, culture, and shared sense of purpose. At eXp Realty, our agents are both our shareholders and our customers. Their voices ring loudest and their opinions matter most which is what makes this award, and each Top Workplace recognition, so meaningful." Micah Mruwat can be reached at Micah.Mruwat@exprealty.com. eXp World Holdings, Inc. is the holding company for a number of companies most notably eXp Realty LLC, the Agent-Owned Cloud Brokerage® as a full-service real estate brokerage providing 24/7 access to collaborative tools, training, and socialization for real estate brokers and agents through its 3-D, fully-immersive, cloud office environment. eXp Realty, LLC and eXp Realty of Canada, Inc. also feature an aggressive revenue sharing program that pays agents a percentage of gross commission income earned by fellow real estate professionals who they attract into the Company. As a publicly-traded company, eXp World Holdings, Inc. uniquely offers real estate professionals within its ranks opportunities to earn equity awards for production and contributions to overall company growth. For more information you can follow eXp World Holdings, Inc. on Twitter, LinkedIn, Facebook, YouTube, or visit eXpWorldHoldings.com. For eXp Realty please visit: eXpRealty.com.